Home › Home and Kitchen › Set Of 2 Double-Wall Insulated Coffee Mug Glass Tea Espresso Cup 8.5 Oz - Uni..
Set Of 2 Double-Wall Insulated Coffee Mug Glass Tea Espresso Cup 8.5 Oz - Uni.. 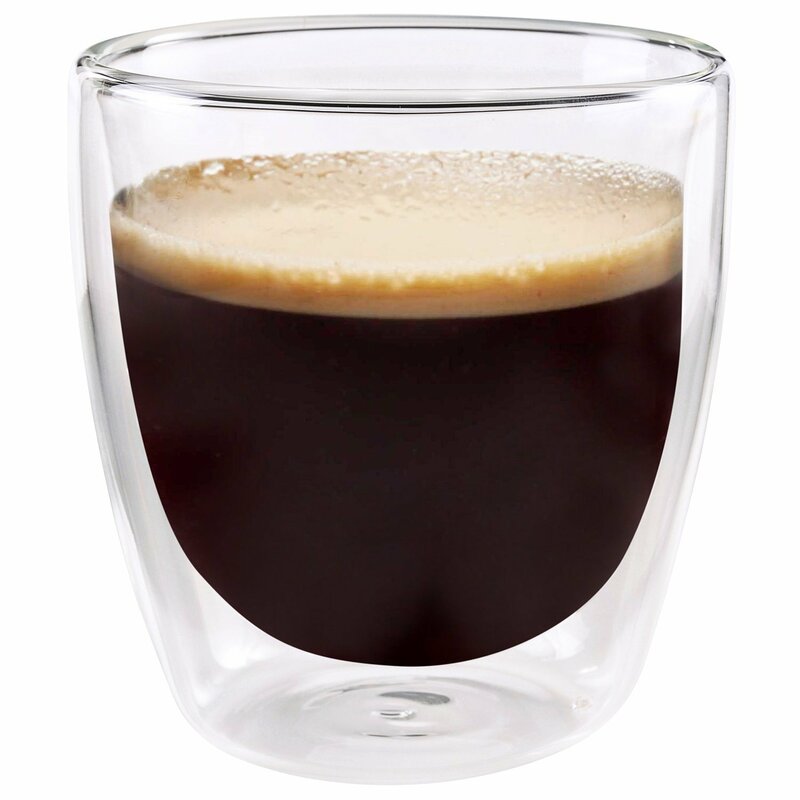 Premium set of 2 double walled glass coffee mug for cappuccino, macchiato, latte, espresso, tea, smoothie and juice. Get it with confidence: The double walled glasses are durable and features high stability verified through strict quality test. 5-star product! Top quality coffee cups glass made of lead-free high quality borosilicate-glass microwave, dishwasher, fridge and freezer safe. Buy the perfect insulated glasses smooth finish, crystal clear, beautiful addition to any cafe, restaurant, pub and definitely to your own home. Money back guarantee. Enjoy your favorite drink like never before with the unique Jecobi glass cups! Nothing better than a hot steaming espresso in the morning, or an ice-coldrelaxing drink in the evening? How long have you been wishing, for your drinks and coffee to retain theirtemperature for a bit longer, so that the pleasure would linger on? Uniquely heavy duty - resistant cups that only Jecobi offers! Exceptional quality heat-resistant materials (boron trioxide and silica)allows this tumbler set, to handle any temperature variance, without crackingor breaking. Feel free to try them, with your steamy hot brew or even with your ice coldbeverages or drinks. Put them in the dishwasher, microwave or freezer, NORISK. And the best part? You can always hold them with ease, no matter thetemperature of your drink - they will never burn or freeze your hands. The perfect gift idea that anyone would appreciate! If you are looking for a unique present idea, this is definitely for you. No matter the occasion, gift this handy set of glass cups and you will be everremembered for your choice, by your loved ones. As this set of 2 mugs comes in an elegant cardboard gift box, it makes anideal wedding, housewarming, holiday present for anyone! Trust the Jecobi quality - rest assured that the stability and quality of thisbeautiful glass set will never let you down. Place an order now with full confidence! Set of 2 cups Contain: 8.5oz each Cup height: 3.9in Upper diameter: 3.4in Cup weight: 4oz Pack weight: 11.64oz Pack size: 7.9 x 3.9 x 4.5in Each cup is mouth blown and receives personal attention in order to achieve aunique look for an improved drinking experience.